we all heard the name of rowing machine but we don’t know how many benefits about it. don’t worry in this article we will provide you benefits of using rowing machine. Using a rowing machine is an excellent way to improve your overall health. In addition to its low physical impact injuries which is suitable for all ages and fitness levels. A rower is essentially a weight machine that imitates the movement of the paddle in the water which makes it a complete body workout. The rowing machine ideal to lose weight, improve muscle tone, strengthen muscles and its also essential for increases resistance. The rowers use various important muscle groups and will help you develop the upper and lower part of your body. The most important thing is that the use of a rowing machine stimulates the function of the heart and lungs, providing serious cardiovascular training. As the rowing machine also works the upper and lower parts of the body and it is a great way to burn calories quickly. Its burning rate is very high unlike a treadmill or exercise bike that will work only the lower body. Simply put, if you practice intense training on a rower you will have the opportunity to burn more than 500 calories in 1 hour. For the bike equivalent it will take you almost 30 minutes more. Training on a rower makes it possible to work a very large number of muscle groups distributed on the upper and the lower part of the body. The blood flow of these different muscles increases accordingly, which brings a significant improvement in blood circulation throughout the body. 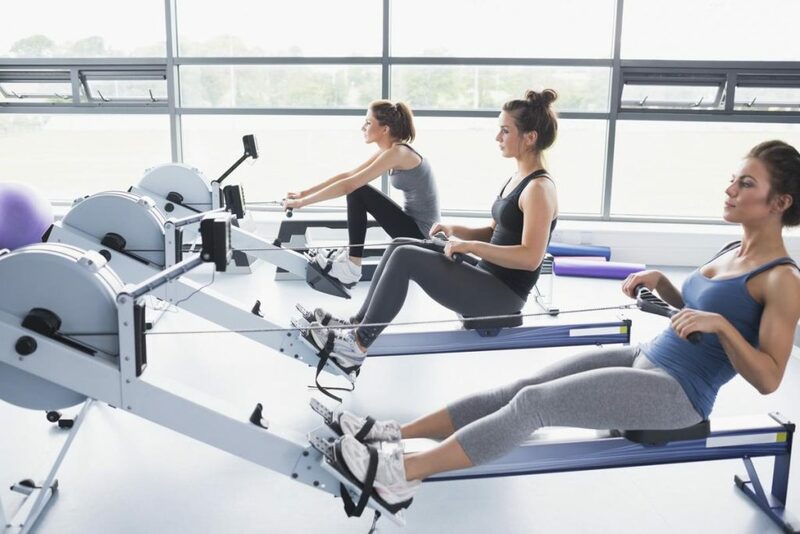 The rower also improves oxygen uptake. During a workout, you ask your body to absorb more oxygen to work your muscles. This extra oxygen coupled with increased blood flow and leads to significant improvement in the user’s cardiovascular system. One of the advantages of the rowing machine is that his center of gravity is lower than other fitness equipment. This means that there is less risk for the user to fall during the exercises. If the fall ever happened, it would be much less serious than a fall from a bike or a treadmill. Although a rowing exercise can pull very hard on the upper body muscles. It is important to note that the risk of a return of injury is very low. In fact, it all depends on the nature of your injury and you will need to know it to adapt your training. Whether or not to use a rower will depend on your injury. On the other hand, one thing is certain it is that the rower solicits very little the articulations of the body. People with painful knees should appreciate. If the exercises are well done, the chances of joint injuries on this type of device are very low. For those of people who are overweight or have joint problems their high-impact exercises can carry more risk than benefit. the rowing machine is an excellent option for those who cannot perform more difficult exercises such as running, walking, walking or strengthening exercises. The rowing movement is natural and of low impact exerting a minimum effort on the joints. Like static bicycles, rowing machines are perfect for preventing injuries and are also an excellent way to strengthen and condition the knees after surgery for example. Although back strain is a concern, you can minimize the risk by using the correct posture for paddling. A good position for paddling allows the legs to do the work relieving the back. Including rowing sessions in one’s sports training can be a source of extra fatigue. Indeed, exercise on this type of device involves many resources of the body. Although the first sessions may seem a bit difficult, the body adapts quickly and gains in endurance. This type of exercise will give you more energy and resistance over time. The rower of apartment reproduces globally the movement realized when one practices the rowing. As this sport requires a lot of upper body it is normal that this is the most requested part during rowing training. First of all, the necessary grip on the handles improves the strength of the arms and wrists a very important point if you practice sports like mountaineering, weightlifting, etc…. In a second step, when working on a rower we work as well as the biceps triceps and pecs. The abdominals are solicited in all the movements of the different exercises. However, the main benefit of using a rower is the work of the back muscles. The upper part of the body is very solicited and thus strengthens more quickly. Automatically, it is also the region that suffers the most, so it is important to perform the various exercises proposed. In summary, the rower makes work in one movement practically all of the muscles of the upper body. This is especially a good way to train effectively unlike other devices that only target one part of the body. Many people think that the lower body does not work when using a rower. All these people are wrong because the movement of a rower involves the use of the legs. By making the rower, we work the glutes, quadriceps or even the calves. So many important muscles in your everyday life! To work the lower body, it must actually benefit from a rower equipped with a sliding seat. Some devices do not have a seat but they are usually used to work only the upper body. Most rowers on the market now have a sliding seat. You will be able to get all these benefits with a rower but for that you will have to carry out the different trainings. If you wish to resume a sports activity after several years without practice we advise you first of all to consult your doctor. It is the best able to allow you to not use a device such as the rower. 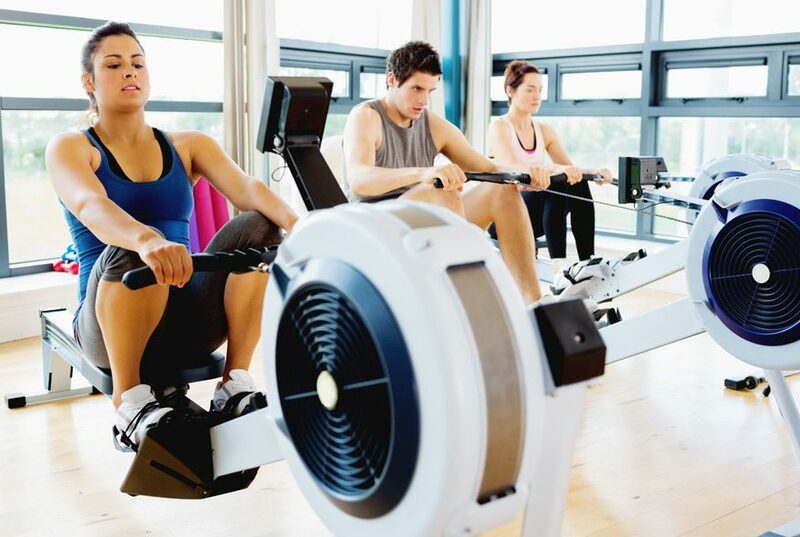 Finally, we know the many benefits of a rowing machine. If you training properly, we need a good rowing machine in our workout. Many rowing machines are available in the market but we are not able to choose which one suitable for us. Don’t worry Thinking about the good products and the right prices, we will suggest you top 10 best rowing machine. Next Post:What is the rules of badminton and how is it played?